Coming hot off its fifth weekend on the market, one in which the film scooped up an additional $15.5 million in North America, Wonder Woman‘s worldwide total has now surpassed $700 million. In what will surely be considered one of the box office anomalies of the summer, the film’s domestic haul is practically on par with its international haul, which is particularly impressive when you consider that the likes of Alien: Covenant, Pirates of the Caribbean: Dead Men Tell No Tales, and Transformers: The Last Knight have used overseas markets as a crutch in order to offset their disappointing performances on home turf. With Wonder Woman, it’s a completely different ballgame. Proving initial projections to be true, the Patty Jenkins-directed solo flick is now the highest-grossing entry into the DC Extended Universe domestically. How does it compare with its superhero peers? In light of its latest weekend haul, Wonder Woman‘s domestic total has now reached $346 million, putting it comfortably ahead of Man of Steel ($291 million), Batman V Superman ($330 million), and Suicide Squad ($325 million). Of those three, the Diana Prince solo movie is now closest to Suicide Squad ($745 million) when it comes to worldwide total, and when you consider that Wonder Woman is yet to release in Japan – expect DC’s Immortal Warrior to grace the Land of the Rising Sun in August – it’s all but certain that the movie will leapfrog Task Force X in four weeks’ time. Another domestic box office milestone now on the cards for WW is the category of origin story/non-sequel comic book superhero movie. To this day, Sam Raimi’s Spider-Man ($403m) still holds that crown, but analysts expect the DC tentpole to finish its theatrical run in the region of $380 million in NA, which tees up a photo finish with Guardians of the Galaxy Vol. 2 ($383m), while there’s also Deadpool ($363m) to consider. All in all, those figures are sure to delight Warner Bros. executives, and perhaps even instil some confidence into the DCEU going into the release of Justice League in November. 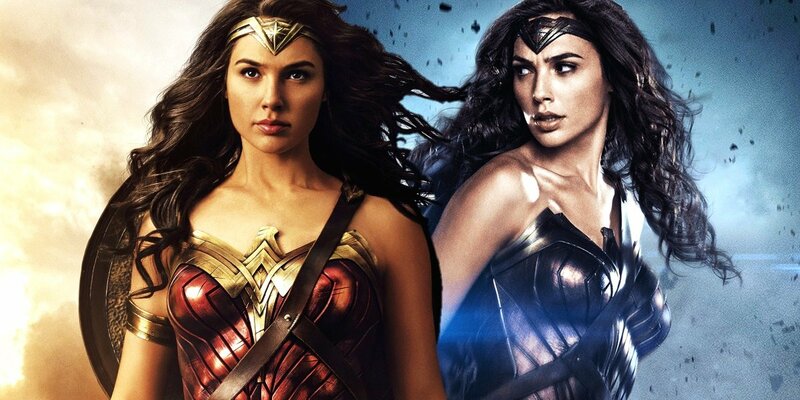 For Wonder Woman, there continues to be rumblings of a sequel, but at least for the time being, negotiations between WB and director Patty Jenkins are ongoing.